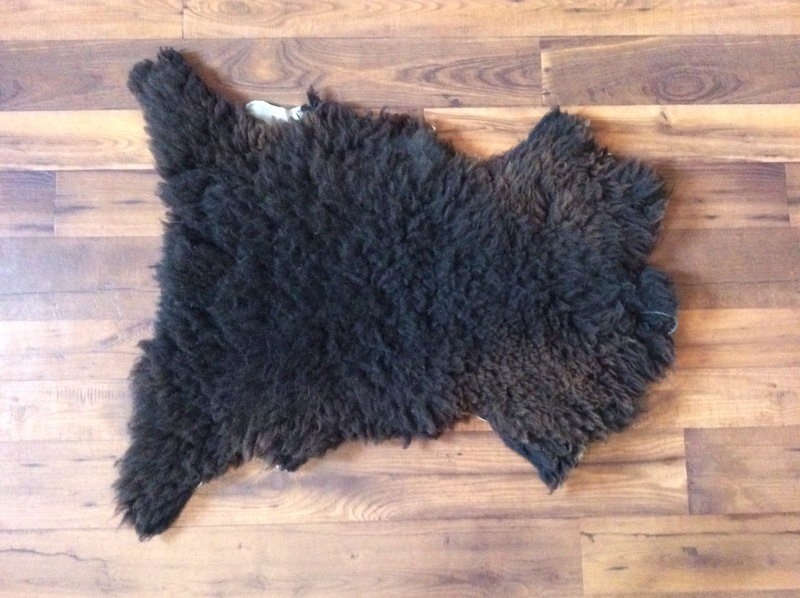 Sheep Skin, Dark Brown Wool, 30" X 23"
Our sheep skin rugs are home grown right here on the farm. Our farm is Animal Welfare Approved; we do not use chemicals and our sheep are pasture born, pasture raised and pasture fed. They enjoy a happy life in a picturesque pastoral setting. This wool product is wonderful as a rug, can be used on a bed; chair or couch; as a wall hanging or in a baby room. Many wonderful uses. Durable and can be enjoyed for many seasons. These rugs can be a tremendous aid for folks that have arthritis or are bed ridden. They can also be used for dog beds. Size is median, with variable length and width as the rug follows its natural course. Care instructions: Shake outdoors; use a rug beater; or vacuum on a regular basis. To keep the pile lofty we recommend combing with a rug rake, carders, or combs. To clean spot clean with gentle soap such as Woolite. For deeper cleaning either dry clean; or wash in a basin with tepid water and mild detergent, without agitation and then line dry.